The parents are being detained after approaching a port of entry seeking asylum. 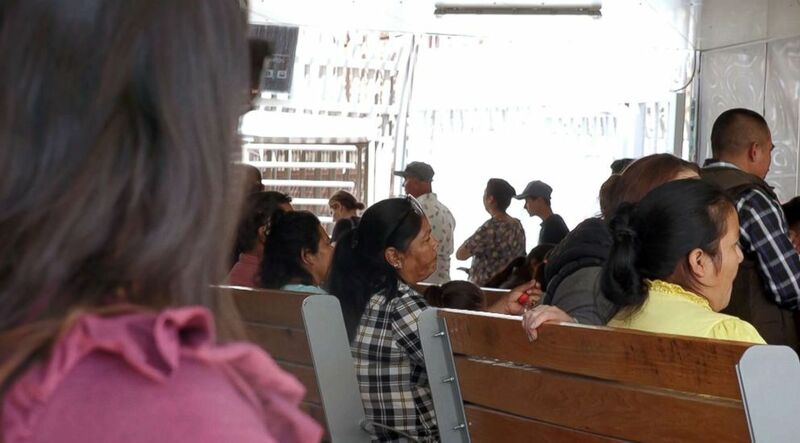 This story is a part of an ongoing ABC News project called Borderline, documenting immigration at the U.S.-Mexico border. Twenty-four migrant parents who returned to the United States on Saturday after they said they were separated and deported without their children are now being detained by the U.S. government, according to Erika Pinheiro, a lawyer for the families and the litigation and policy director of Al Otro Lado. Of the 24 detained, 19 are being held by U.S. Customs and Border Protection (CBP) and five by U.S. Immigration and Customs Enforcement (ICE), said Pinheiro. The lawyers for the group of parents, who together made the journey back to the U.S. to reunite with their children and seek asylum, said the government agencies placed them in different detention centers, even splitting some families apart who had arrived at the border together. 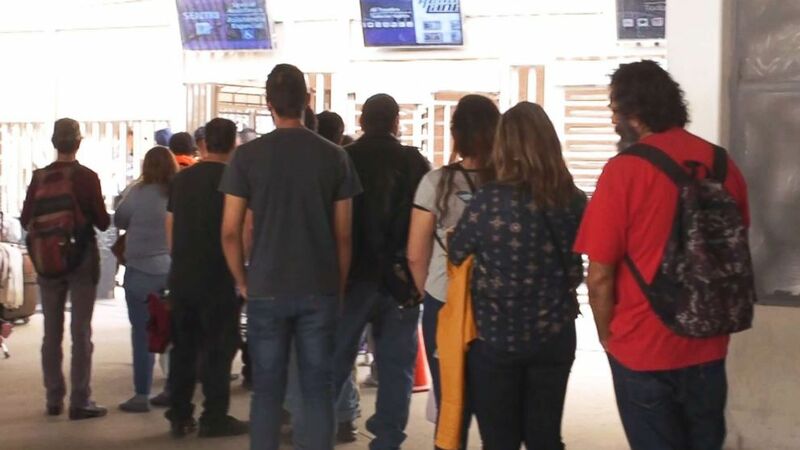 (ABC News) Over two dozen parents arrived at the Calexico Port of Entry in Calexico, Calif., seeking asylum and to be reunited with their separated children. The parents presented themselves at the Calexico Port of Entry on Saturday to seek asylum and reunification with their children. As of Tuesday evening, some of the parents that were detained have since been released. In new figures released on Tuesday, CBP announced that in February, border agents apprehended more than 36,000 families along the southern border. That brings the total number of apprehended families at the southern border over the last five months to more than 130,000 families, setting a new record. "We are currently facing a humanitarian and national security crisis along our southwest border," said CBP Commissioner Kevin K. McAleenan in response to these new numbers. 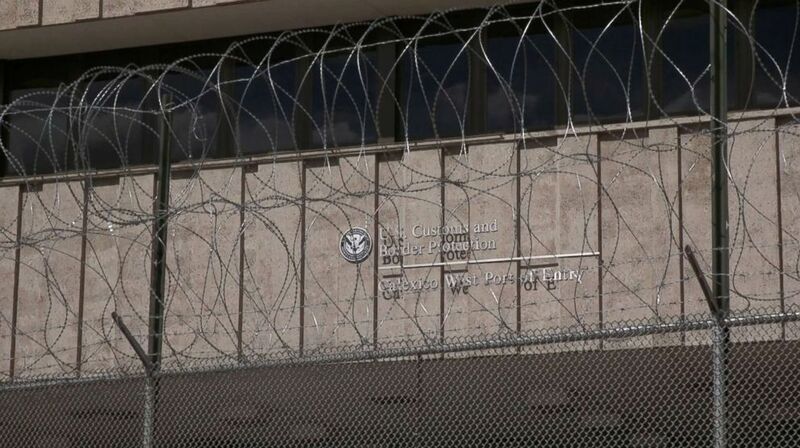 "The vast increases in families and children coming across our border, in larger groups and in more remote areas, presents a unique challenge to our operations and facilities, and those of our partners, including the NGOS who work to assist these individuals and families throughout their immigration proceedings," McAleenan said. On Sunday afternoon, Erin Anderson, a paralegal for Al Otro Lado, received the first call that a family was released from government detention. She told ABC News it was a sign that maybe the 29 individuals would soon be reunited with their children. But hours later, a grimmer picture emerged for these parents. "ICE has the ability to let everyone single one of these people go immediately. If ICE has them detained it’s because ICE made the decision to detain them knowing full well exactly who they are and what they’ve been through," Anderson said. The lawyers for the parents say that U.S. sponsors have been lined up to host all of these families. At this point, none of those sponsors have been contacted by the government, according to Pinheiro. "While the Trump administration claims to be doing everything it can to reunify families, ICE is detaining parents at this very moment who should be released and reunited with their kids immediately," Pinheiro said. CBP and ICE did not immediately respond to ABC News' request for comment.